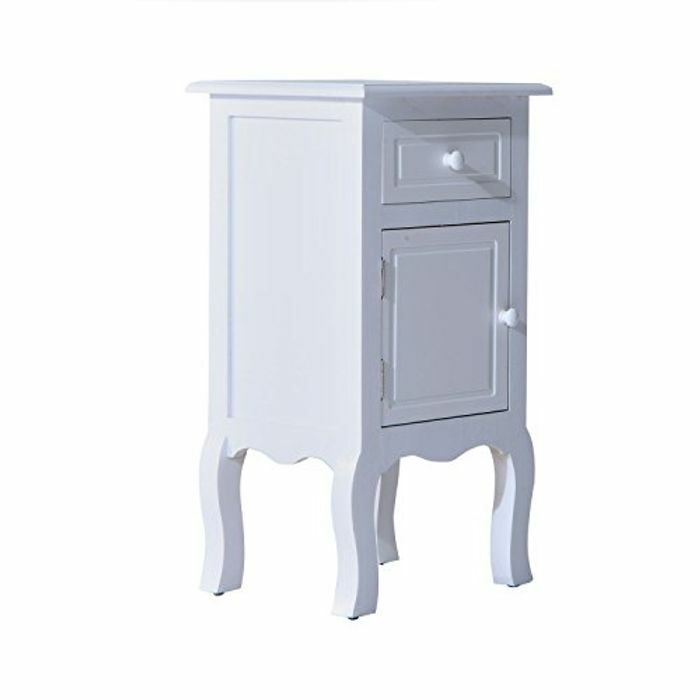 .Traditional style white bedside table. FULLY ASSEMBLED. Solid MDF and paulownia wood in excellent workmanship. Matte Paint Finish, Incl. 1 drawer and 1 cabinet with handle.